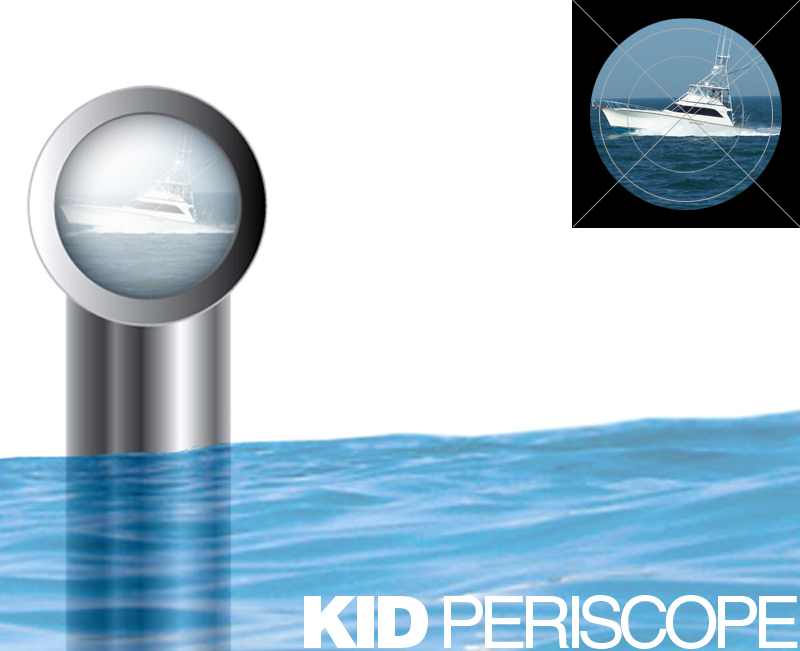 Periscope - (def.) "tubular optical instrument that contains reflecting elements, such as mirrors and prisms, to permit observation from a position displaced from a direct line of sight." 1. Create a periscope out of PVC Pipe! Dive under water and check out what's happening above the water line using your viewer. You can also hide behind the couch in your living room and investigate! 2. Construct a simple periscope out of a milk carton for detective work. 3. Check out Make It Awesome's cardboard periscope tutorial below for super spy vision!